Report from Labour’s NEC sub-committees. This report includes updates from the March national executive committee (NEC) equalities, disputes and organisation committee meetings, as well as the national policy forum (NPF) joint policy committee meeting. The joint policy committee (JPC) is the body which has strategic oversight for Labour’s policy development and acts as the steering group for the NPF. March’s meeting agreed the policy consultation documents that will be sent to members and local parties shortly. Consultations will run in the coming months and will contribute to the policy documents prepared for the Labour conference in September. The full NPF will be meet on 1 and 2 July somewhere in the North of England (I suggested Blackpool). The GMB’s Cath Speight was elected chair of the JPC. I have written a guide to how the NPF works and how members can get involved. Ann Black, NEC equalities vice-chair women and NEC CLP representative. Cath Speight and Diana Holland, NEC trade union representatives. Alice Perry, NEC local government representative. Jasmin Beckett, NEC youth representative. Shabana Mahmood, NEC rep and NPF vice-chair. Are you interested in standing to be a councillor? The Fabian’s Women’s Network has produced an excellent guide to standing for election as a Labour councillor. This publication is aimed at encouraging more women to become councillors but the tips and advice are useful to anyone interested as to what the work involves and how to get selected and elected. The NEC equalities committee is continuing work to encourage more candidates from traditionally under-represented backgrounds, including encouraging more female, BAME, working class, disabled and LGBT candidates. The NEC viewed updated drafts of Labour’s new complaints and disciplinary process. The new scheme aims to improve transparency and make things quicker, clearer, fairer and easier for all concerned. All Labour’s relevant policies and procedures and the Labour rule book will be available in one easy to access place online. Work continues on the new bullying and sexual harassment policy, as well as new policies prioritised in the Chakrabarti and Royall reports. Labour is committed to taking tough action on anti-Semitism. The NEC equalities committee discussed measures to address the unacceptable rise in anti-Semitism in public discourse. The NEC disputes committee referred around a dozen members to the national constitutional committee for alleged anti-Semitism. This included some high profile cases. Jeremy Corbyn and the NEC are clear that there is no place for racism in the Labour Party and it will not be tolerated. Should Labour stand candidates in Northern Ireland? Labour is conducting a review about whether to stand candidates in Northern Ireland (above). 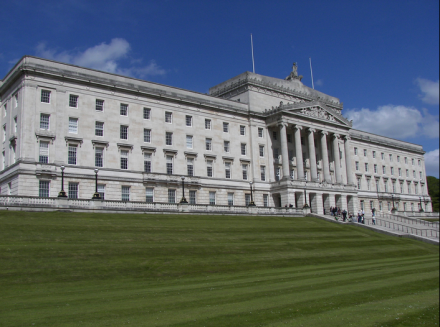 Stakeholders being consulted include Labour’s members in Northern Ireland, the Co-operative Party, GMB, Irish Labour Party, Labour Party Irish Society, Unite, Usdaw, Unison, the SDLP and others. Meetings will take place in London, Dublin and Belfast. Questions being considered include whether Labour should stand candidates in Northern Ireland, what impact this would have and what recommendations people have for how we should organise politically. NEC officers agreed the process and timetable for selecting a candidate for the Manchester Gorton by-election. This process is likely to be very competitive. While this process was not discussed at the NEC meetings on March 7, the equalities committee was clear that by-election shortlists should reflect the diversity of the local community. The next full NEC meeting takes place on March 21. This will include a full briefing on preparations for May’s local government elections and a possible snap general election. The NEC will also consider the results of the Stoke Central and Copeland by-elections and what lessons can be learned for the future. If you have any views on this (or anything else) please do get in touch. You can also sign-up to receive my reports.